For traveler tips, more things to do, maps, and more tourist information, read San Francisco online itinerary planner . New York City to San Francisco is an approximately 9-hour combination of bus and flight. You can also fly; or drive. The time zone difference when traveling from New York City to San Francisco is minus 3 hours. Plan for a bit warmer temperatures traveling from New York City in February, with highs in San Francisco at 62°F and lows at 48°F. Cap off your sightseeing on the 14th (Thu) early enough to go by car to Monterey. Monterey is a city in the U.S. 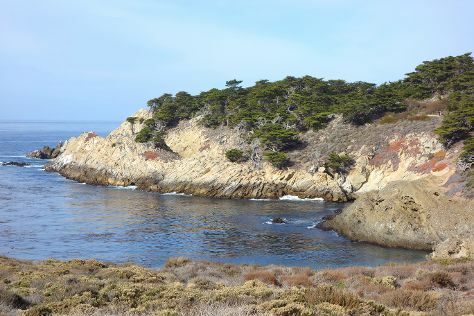 Kick off your visit on the 15th (Fri): stop by The Cheese Shop, then admire the majestic nature at Point Lobos, and then enjoy the sand and surf at Carmel River State Beach. Here are some ideas for day two: get engrossed in the history at Casa Serrano, Historic Adobe, take in the exciting artwork at Gallery by the Sea Carmel, view the masterpieces at Steven Whyte's Sculpture Studio and Gallery, take in the exciting artwork at Carmel Art Association, then explore the activities along Monterey Bay, and finally browse the fresh offerings at Pacific Grove Certified Farmers' Market. Planning Monterey trip won't be overwheling when you use's Insprock itinerary maker. Drive from San Francisco to Monterey in 2.5 hours. Alternatively, you can fly; or do a combination of train and bus. Expect a daytime high around 63°F in February, and nighttime lows around 45°F. Finish up your sightseeing early on the 16th (Sat) so you can travel back home.